HYUNDAI TIBURON 2007. The Tiburon was one of the vehicles that helped Hyundai to change its image and become what it is today. Is the Hyundai Tiburon a good car? When it was presented into the American market in 1997, the Tiburon represented the first attempt of Hyundai to deliver a car that was more than an economic model. This two-door coupe, although isn't as fast or refined as some others in its class, was incredibly affordable and showed that Hyundai was taking it seriously to change its image. 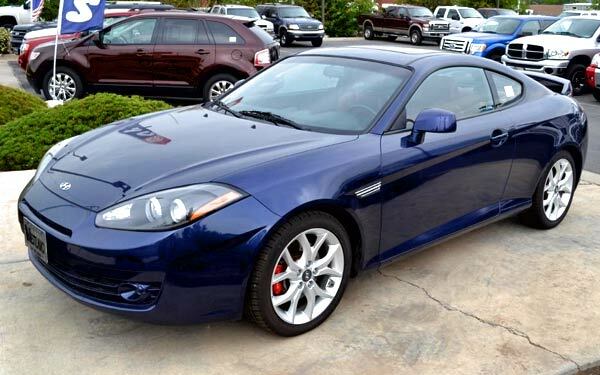 Over time, the Tiburon improved both the appearance and performance. 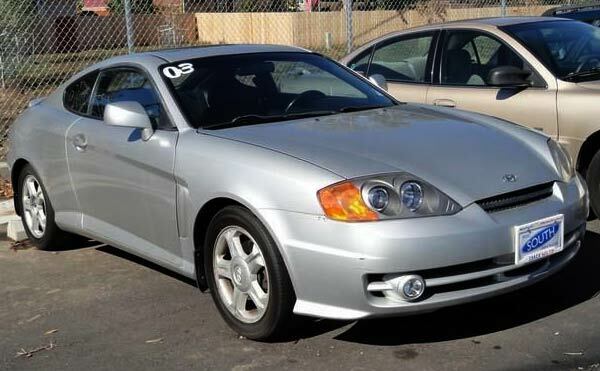 Nowadays, the Tiburon is even cheaper than during its time, and in case you are interested in buying one of these sporty coupes, as you read this article, I'll show you where you can find the cheapest used ones for sale in the U.S. for less than $2000 and under $3000 dollars only, while I tell you about some aspects and characteristics of these models. BEST DEAL #1 UNDER $2000. 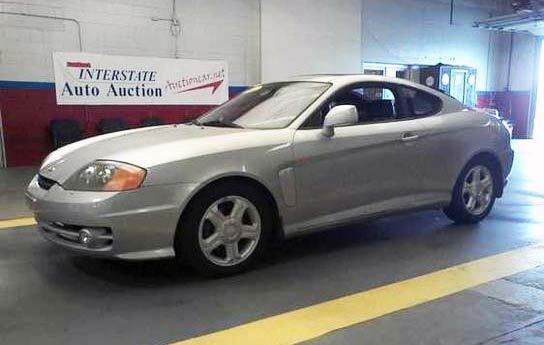 This Hyundai Tiburon GT, silver color, year 2003, has 150k miles, comes with black leather seats, and is for sale in Salem, New Hampshire by Interstate Auto Auction for only $1,600 dollars. If you are interested, check it out by yourself on-line or personally before it is gone, visiting the dealer lot at 20 Hampshire Road, Salem NH 03079 or calling directly to the dealer for more info and questions at 603-893-7777. The second generation of this front-wheel drive car started to be sold in 2003. It was available only in two-door hatchback body. Throughout its life underwent major changes as an exterior and interior redesign in 2005 and 2007. Were also added different versions and trim levels to over the years. BEST DEAL #2 UNDER $2000. This silver GT, also year 2003, has only 119k miles, is equipped with 4-speed automatic transmission and a 2.7L V6 24V engine. Although it looks terrific for the price and mileage it seems it needs some TLC and that is the reason of the low price. It is being sold in Longmont, Colorado by Essex South car dealer for only $1,695 dollars. If you are interested, check it out on-line for more info or personally before it is gone, visiting the dealer lot at 1135 S Main St Longmont, CO 80501 or calling directly to the dealer office for questions at 303-678-8158. The base version was the GS and had a four-cylinder 2.0-liter engine with 138 horsepower and 5-speed manual gearbox. There was an automatic 4-speed as an option. The best option or the best equipped was the Tiburon GT which had a V6 engine of 172 hp and several enhancements focused on performance such as the stiffer suspension and 17-inch wheels. BEST DEAL #3 FOR $2000 OR LESS. 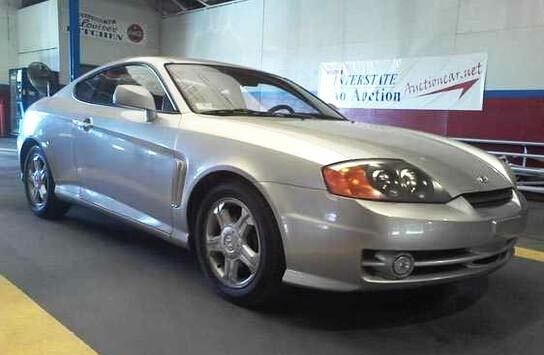 This silver Tiburon base 2003, has 139k miles and an estimated fuel economy of 23 MPG in the city and 31 MPG on highways. It has black interior and overall looks good. It is also being sold in Salem, New Hampshire by Interstate Auto Auction for only $2,000 dollars or maybe less if you negotiate it. If you are interested, check it out on-line for more info or personally before it is gone, visiting the dealer lot at 20 Hampshire Road, Salem, NH 03079 or calling directly to the office for questions at 603-893-7777. It also included automatic climate control, cruise control, trip computer and a huge rear wing. The GT Limited version (added in 2006) included leather seating, sunroof and Infiniti audio system of 440 watts. If you are looking for better performance, the version you need is the LE, which equips the V6 engine with a 6-speed manual gearbox. It had unique things such as brake calipers painted in red, fog lamps and a spoiler even bigger to give it a sportier look. BEST DEAL #4 UNDER $3000. 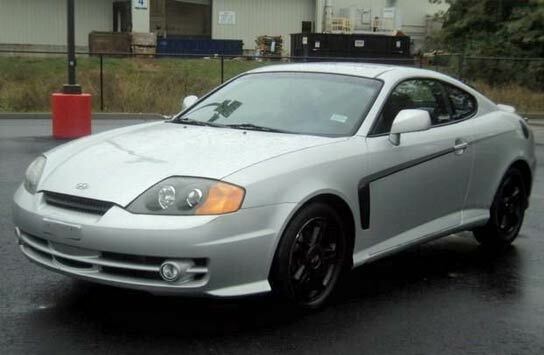 This silver Tiburon GT from 2003, comes with the V6 engine, has 203k miles, and is equipped with sport leather seats and sport black wheels. Its overall in and out condition is good, and is for sale in Florence, Kentucky by Midwest Auto Store for only $2,895 dollars. If you are interested, check it out on-line to see more pictures or check it out personally before it is gone, visiting the dealer lot at 166 Weaver Rd., Florence, KY 41042. You can also call directly to the office for questions at (859) 372-0600. It also came very well equipped with the steering wheel and shifter leather wrapped, Kenwood audio system with MP3 input, metallic interior accents, aluminum pedals and extra gauges. In the test drives the V6 was always the preferred one as it had the necessary push to move the 3000 lbs that the car weighed. The 5-speed gearbox has good escalation and the GT behaves well in demanding situations. The car is fun, mainly because of the handling it delivers, although the suspension firmness makes it somewhat rough. BEST DEAL #5 UNDER $3000. 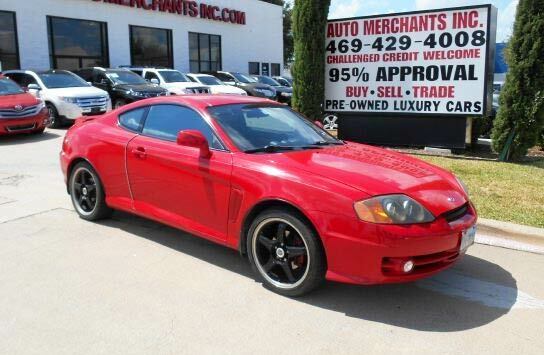 This really nice and customized Tiburon Base, red color, year 2003 too, has only 130k miles, comes with 5-speed manual transmission, is equipped with the 2.0L I4 16V MPFI DOHC engine, its overall condition is good, and is for sale in Plano, Texas by Auto Merchants Inc. for only $2,900 dollars. If you are interested, check it out on-line to see more photos or visit the dealer lot at 4008 West Plano Pkwy. Plano, TX 75093 and test it by yourself before it is gone. For more info and questions call directly to the seller at 1-877-445-7909. Although the Tiburon was never part of the elite in its class, its affordable price makes it an interesting option for who are looking for a 2-door coupe with sporty touches. It seems that Hyundai is working on a new front-drive Tiburon, but the current substitute of this car is the far superior Genesis rear-drive. If you or any of your acquaintances live in or near Texas, Kentucky, New Hampshire or Colorado, and one of them is looking for a dirt cheap sports coupe, let him know about the Tiburon and these top 5 deals just mentioned. If you thought it wasn't possible to get a nice one for less than $3000 or $2000 dollars, well you already know it is. *Bear in mind that this article was published on October 23/2013, if you landed here several days or weeks after this date, it is possible that these cars are already sold or gone, however you can check the links to see if they are still available, you never know.